Robert MacLean didn’t realize that by trying to protect America’s flying public, his employer — his government — would treat him almost like a traitor. Soon, the Supreme Court will have a chance to decide if MacLean, a whistleblower and former air marshal, was treated justly, or at least legally. It is the first case the high court will hear directly concerning a federal whistleblower. The implications of the case go well beyond MacLean. If he loses, Uncle Sam will have greater power to bully whistleblowers. Fewer federal employees might be willing to disclose waste, fraud, abuse and dumb decisions. Oral arguments are scheduled for Nov. 4. The Obama administration is appealing a lower court decision that MacLean’s disclosures were covered by the Whistleblower Protection Act. If the justices rule against MacLean, federal agencies could have broad power to weaken that law by using the government’s power to make secret more information than Congress intended. In July 2003, air marshals, including MacLean, were summoned for mandatory training to prevent suicidal airline hijacking plots by al-Qaeda. Days later, the Transportation Security Administration sent an unsecured, unclassified text message to air marshals informing them that all long-distance assignments requiring an overnight stay would be canceled. 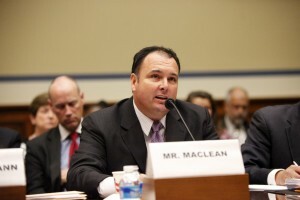 Knowing that could hamper efforts to thwart hijackers, MacLean said he complained about this shortsighted, money-saving plan to an agency supervisor and to the Department of Homeland Security’s inspector general’s office. MacLean also leaked information to MSNBC, which he admitted to during a leak investigation two years later. He was placed on administrative leave in September 2005 and fired in April 2006. This is the incredible part: It wasn’t until August 2006 that the government retroactively labeled as sensitive the information MacLean was fired for leaking — three years after the text message was sent. But noteworthy to MacLean’s defense is thata key bipartisan group of members of Congress say his disclosures are, or at least should have been, protected from agency reprisal by the whistleblower law. But members of Congress who were instrumental in passing the legislation say that’s not so. In fact, “Congress deliberately crafted” legislation “to exclude agency rules and regulations,” says a brief filed by Sens. Charles E. Grassley (R-Iowa), Ron Wyden (D-Ore.), Reps. Darrell Issa (R-Calif.), Elijah E. Cummings (D-Md. ), Blake Farenthold (R-Tex.) and Stephen F. Lynch (D-Mass). Sadly, the message here is that agency officials can’t always be trusted to do the right thing. When employees expose bad policies, too often the reaction of their bosses is to cover managerial behinds. Whistleblowers should be congratulated, praised for serving the public. Instead, many are harassed, punished and pushed from government service. Agencies can be creative in their reprisals, even belatedly declaring information sensitive, as TSA did, in order to better take revenge against whistleblowers. “[I]n fear that such retroactive designations are possible, whistleblowers may refrain from alerting the public to dangers that could have been averted or mitigated,” said the brief by OSC, which works to protect whistleblowers. 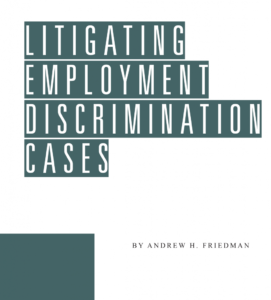 This is the first Supreme Court friend-of-the-court brief filed by OSC. This wariness of the way agency managers treat whistleblowers is shared by the Republicans and Democrats who filed the congressional brief. If that happens, it’s not only MacLean who will lose. The American people will, too.